On November 5, 1966 the first episode of Doctor Who to feature Patrick Troughton as the Doctor was broadcast on BBC. Nothing in the show’s history has quite equaled the impact of that moment – not even the rise of Dalekmania. Had it not been for the producers taking a chance on reshaping the series with such a drastic recasting of the lead role, and had the audience not taken to this new characterization, we would most likely now only be talking about Doctor Who in the same way we do Time Tunnel: with affection, but rather infrequently. Troughton’s impact on the show, and the writers’ and producers’ response to it, is what ensured the continuance of this quaint little show for five subsequent decades and beyond. The Troughton era of the show is the one that has suffered the most from the BBC’s lack of archival foresight. Huge swathes of his episodes have been missing from the BBC’s holdings for decades, and there are numerous stories that haven’t been seen since their original broadcast. Those fortunes have seen a bit of reversal in recent times, with the recovery of “Enemy of the World” and “The Web of Fear” in 2013, and the newly animated restoration of Troughton’s debut serial, “Power of the Daleks”. The debut story is one of the most unsettling in the history of the show. The most obvious change comes in the new Doctor, who talks about his previous self in the third person and who seems to intentionally confuse his companions (Polly and Ben) in order to test their trust. But the Daleks go through a bit of a transformation as well from the pen of former Doctor Who script editor, scriptwriter and novelist David Whitaker. Whitaker had been already been writing the Daleks for the TV Century 21 comic strips; under his influence, the Daleks we see in “Power” differ in significant ways from their previous appearances, written by their creator Terry Nation: here, they’re cunning, manipulative, insidious and calculating – and they’ve rarely been more terrifying in their 53-year history. At six episodes, the tension is allowed to build at a gradual pace. That BBC Worldwide has invested considerable resources into restoring this serial is hopefully a sign that more such releases will follow. “Power of the Daleks” will be released on DVD in January, in theatres across America and Australia on November 14, broadcast in episodic format (once per week) on BBC America starting November 19. Sadly, nearly the entire rest of Troughton’s first season remains unaccounted for in the BBC Archives. 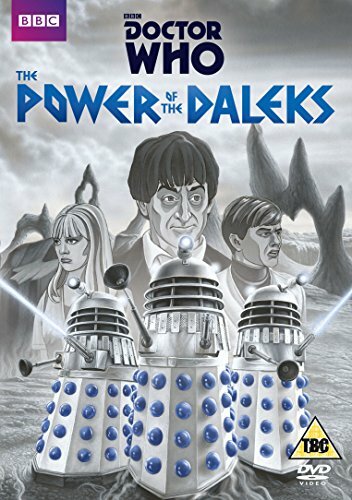 Let’s hope that “Power’s” follow-up, the Season Four finale “Evil of the Daleks”, will receive a similarly animated release at some point. When it was one of the great missing treasures of the Troughton era, it was lauded as the crowning achievement of 60s Doctor Who – atmospheric, creepy, with body horror aplenty and genuine scares throughout, plus an electrifying performance by Troughton, better than anything and everything produced in the 70s and 80s. When the serial was finally rediscovered in 1991, at least one of those things turned out to be true. The story proved to be a bit clunkier and just a little bit more racist than anyone who saw it on broadcast seemed to remember. However, the core story is quite exciting, the sets are gorgeous, and the dialogue sparkles. Troughton is at his impish best in this one and has a few scenes that absolutely defines and encapsulates what his Doctor was all about, especially when talking to Victoria about his family, consoling her on the recent loss of her father. The location filming in the first episode lends the story a wonderfully expansive sense of place. While it didn’t fully live up to its impossible reputation, it is still one of the gems in the crown and a highly enjoyable watch. Just ignore the duck sounds the Cybermen make. One of two stories newly recovered in 2013. Unlike “Tomb,” “Enemy” did not enjoy such a stellar reputation during its missing years. In a season loaded with monster stories, this one seemed rather plain, slow, average and in no way outstanding. Like all missing Doctor Who serials, a complete audio recording existed, but it proved that “Enemy” was the big clunker of the season. But something magical happened when the episodes were recovered and released – we found that there was so much magic in the actors’ performances, in the gorgeous sets, in Barry Letts’ outstanding direction, that this story had been wrongfully disregarded the whole time. A gripping political drama unlike anything else in the Second Doctor era, Troughton gives a gripping portrayal of the Doctor, Salamander, the Doctor impersonating Salamander, and Salamander impersonating the Doctor, and somehow gives each part it’s own nuances. Frazer Hines as Jamie gets some really meaty material to work with as well and turns in one of his finest performances. Sadly, chopping vegetables is about the most significant contribution to the story Deborah Watling as Victoria gets to make. 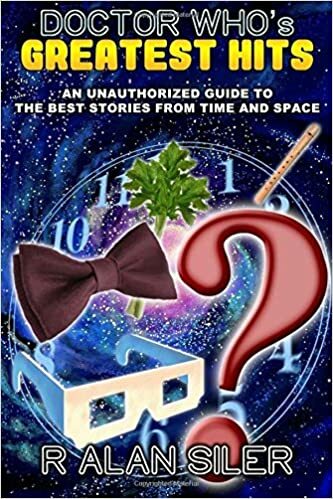 One of the trippiest Doctor Who serials ever, this romp through the Land of Fiction takes the TARDIS team completely out of reality and into a realm where the only things that are real and the unreal, populated by fantasy characters like Gulliver, a Minotaur, a Unicorn, Rapunzel, and a 21st Century comic strip character called the Karkus. It’s full of clever ideas, both scripted in advance and invented on the spot (like the brilliant in-story solution to Frazer Hines unexpectedly coming down with chickenpox). The antagonist is revealed to be a person referred to as ‘the Master’, but is related in no way to the later Time Lord figure of the same name introduced in Jon Pertwee’s second season. It begins with a very surreal one-episode bridge from the previous story into “The Mind Robber” proper, caused by the previous serial being reduced by one episode, but this last minute addition provides one of the most atmospheric and creepy episodes in the show’s history. And recent TARDIS addition Zoe Heriot, who usually exercises her brain, here gets to pull off some mighty karate flips. An amazing story from start to finish. One of the most significant stories in the whole of Doctor Who, “The War Game” brings the Doctor to his home planet for the first time and introduces the audience to his people. It starts off like any other historical adventure from this period but quickly turns audience expectation on its head as a chariot full of Roman soldiers comes charging into the scene of a World War I battle. At a massive ten episodes, the writers (Terrance Dicks and Malcolm Hulke) throw enough curveballs and continuously introduce new characters and settings that the story remarkably never bogs down or grows stale. It’s one of the most incredible feats of televisual storytelling – especially when you consider that the whole thing was the result of two final proposed scripts – a 4-parter and a 6-parter – fell through and a 10-parter had to be written at the very last minute to take their place. In fact, the ending of the story hadn’t even been conceptualized when filming on Episode One began. It’s one of the most epic send-offs any Doctor received, and Troughton is up to the challenge, delivering possibly his most commanding performance ever. To say that “The War Games” is brilliant does it a disservice. Set aside an afternoon or two and indulge in one of the finest serials Doctor Who ever produced. Canon reconstructions of the missing stories. There you will find “The Highlanders”, Jamie’s first story, “The Macra Terror”, “The Faceless Ones”, “Evil of the Daleks”, and other great stories. And if you’d like to read more of my ramblings about great Doctor Who stories, check out my book, Doctor Who’s Greatest Hits: An Unauthorized Guide to the Best Stories From Time and Space It covers the 55 best stories from 1963 up through the first season of Peter Capaldi.